Happy Friday! 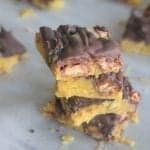 I hope you’ll all come over to Snackpicks.com to see my first recipe with them! I’ve got an awfully cute little helper too 🙂 Hope you all enjoy and have a GREAT weekend!! We took some of our favorite cookies and treats to make these brownies irresistible! Here’s a peek at my little helper hard at work, lol! 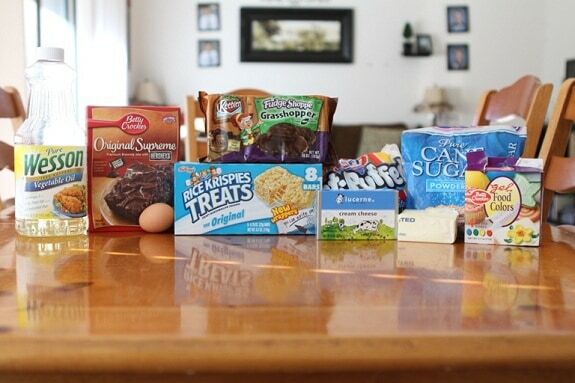 Here’s what you’ll need for our decadent brownies! 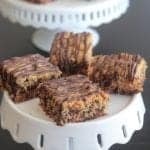 Come on over to Snackpicks.com to see my recipe and step by step photos!! 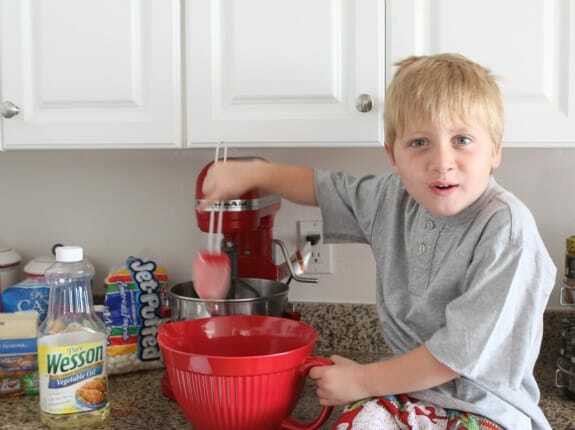 Your son is so cute, love his excitement in the kitchen! His face says it all, looks like he can’t wait to try this wonderful treat! WOW these brownies look decadent! They would snag a leprechaun for sure! What a cute helper you have there! 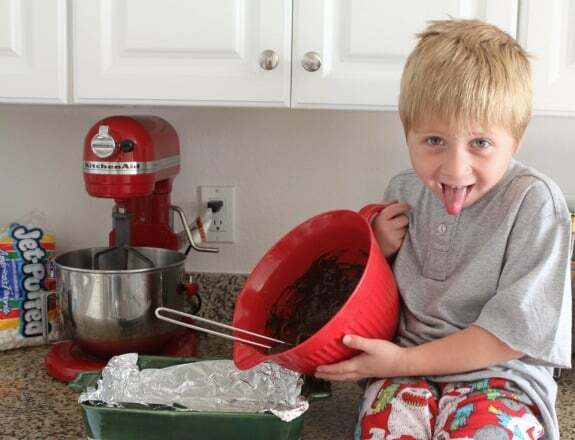 SO fun you are both making memories in the kitchen! Thanks for sharing! What a cutie he is! And grasshopper cookies and rice krispie treats in a brownie?! Yum! Can’t believe St. Pattys day is so soon! What a cutie! 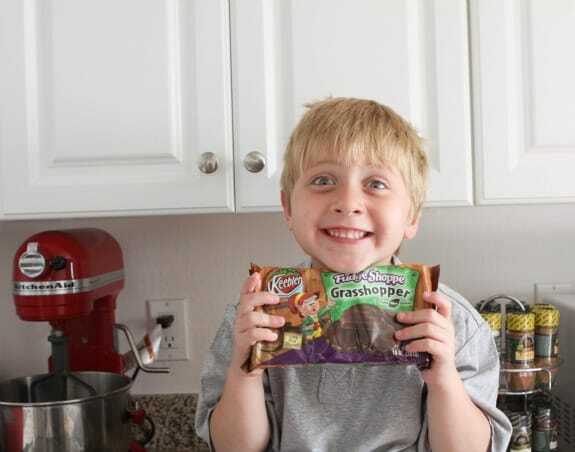 Funny thing is, I make the same exact face when I’m holding a package of grasshopper cookies! Yum! These brownies look amazing! His faces are so cute and funny. It’s great to see kids in the kitchen. What A Cutie!!!!! and need to try this recipe!!! What a cutie pie! What a delish recipe too. I have that same batter bowl in orange! looks like a threat to my diet. i am DEFINITELY making this this month! screw a flat stomach! Aww, your son is so cute Jenny! 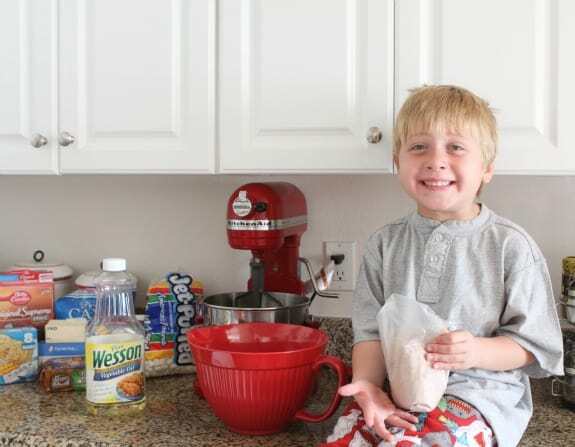 Looks like you had a lot of making these delicious treats with him. Thanks for sharing! Jenny your son is adorable!! And congrats on your Snackpicks role. That is so awesome! That’s adorable! What a fun experience for your son. I love LOVE chocolate and mint together. Best combo ever. These look amazing! 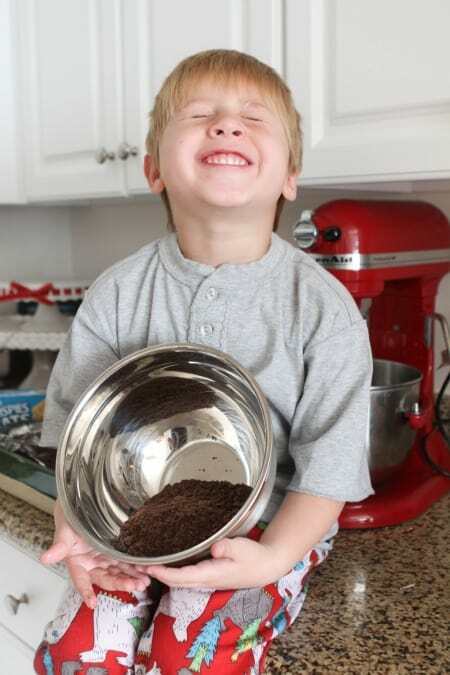 Love the pictures of your little helper! Too funny! I love the pictures your son is adorable!!! and the brownies look good! These brownies look so amazing! Grasshopper layered sounds awesome. You’re son is adorable – how fun! This recipe sounds delish – we’ve received a box or two extra of Girl Scout thin mint cookies that I now know what to do with (aside from eating straight from the box). with such help, no wonder why results are so sweet 🙂 great photos! ! Oh my goodness those look amazing!! I had a warm choc cupcake with mint whipped cream last night at Vintage Steakhouse in San Juan Capistrano and its got me craving everything mint & chocolate! Yum!….In your ingredients you listed Keebler shortbread… I didn’t see them included??? Just saw the step by steps. Oh my! That is truly sinful! What is the color/name of your granite countertop? At the end of the pictures, the recipe ingredients are listed. Keebler Sandies cookies are listed as an ingredient; however, I cannot find in the recipe instructions where to add these cookies. I second this comment — I couldn’t figure out where they were added, either. Help! great publish, very informative. I wonder why the opposite experts of this sector do not understand this. You should continue your writing. I’m confident, you’ve a huge readers’ base already! 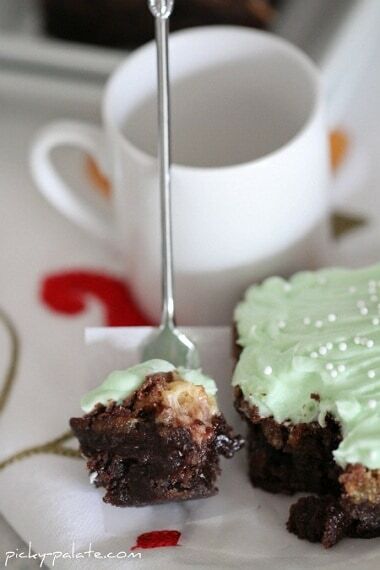 What happened to your recipe for Leprechaun Layered Brownies? The only things that come up now are the pictures of your son but no ingredient list or directions. I wanted to get this in my file for next month.